Glutamine or creatine? Which will help you better meet your goals? Read our expert explanation on this topic. There are a lot of different sports supplements out there, and sometimes keeping them separate can be difficult. Here, we’re going to explain the difference between BCAAs and Glutamine. Both of these supplements are common in sports nutrition for improving recovery and performance. More so, either of these are actively acquired through diet or made by the body every day via natural processes. However, when you exercise and work hard, your bodies stockpile can fall short. This is when supplementation is necessary. So, let’s get to the point. Branch Chain Amino Acids are commonly referred to as BCAAs, and these amino acids are not always readily made by the body. Likewise, they are very anabolic as well as non-catabolic. Simply put, BCAAs support lean muscle growth AND help prevent muscle wasting. Exactly the kind of help you want when you exercise. In the amino acid game, there are essential amino acids and then there are nonessential amino acids. BCAAs are essential, and that means that you must get them through your diet in order to not be deficient. Nonessential amino acids on the other hand are not required by the diet, hypothetically, since your body is quite capable of making its own from other materials. But, this doesn’t always fill the bill for athletes… But we’ll get to that later. So, BCAAs help with muscle recovery, maintaining lean mass, and even building new muscle. So, how does one take it? 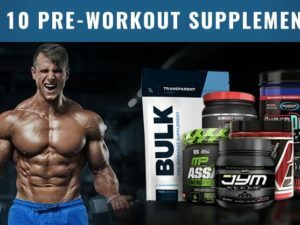 If you would like to learn about BCAA supplements, like how to take them and which are the best – then you have to read our best bcaa supplements. But before that, lets get into our other topic, glutamine. Glutamine, unlike BCAAs, is readily made by the body. In fact, last time we checked Glutamine was the most common amino acid in the entire body! But, with that large prevalence also comes a major demand. After all, if your body makes it naturally then it clearly NEEDS IT, right? Glutamine is a dynamic amino acid compared to many others. It’s the most common, easily to make, frequently made, and loaded up in the foods we eat. So, what does our body do with it? A lot. We won’t get into how glutamine helps with your immune system as well as how glutamine helps burn patients recover flesh faster. But, we will cover muscle soreness, growth, and endurance. All 3 of these topics are key reasons why athletes and bodybuilders consider supplementing glutamine. Muscle Soreness – several studies have shown that supplementing with 5+ grams of glutamine before or after exercise reduces the intensity of DOMS (delayed onset muscle soreness). 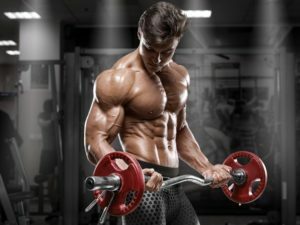 Muscle Growth – While glutamine is required for muscle growth, that isn’t the only way it shines in helping you put on more mass. That’s because glutamine is also readily turned into energy. Because of this, there is less strain on BCAAs and your muscle tissue to be turned into energy – thus preserving both the tissue and BCAA stores that promote growth. Endurance – Stated well above in muscle growth. Simply put, glutamine can quickly be turned into glucose, which readily fuels muscles. Many people do, but its not 100% necessary. The real way to win the game is to get enough glutamine in your diet. So again, should you go out and get a glutamine powder at your local shop? If you think that you may require more glutamine in your diet, then you probably also need more BCAAs to support reaching your goals. So then, why not get both of these in one single supplement? You can, and that’s how we’ve always done it. Read the BCAA article we linked to above to learn more about how BCAAs can help you. As well, notice that our top BCAA choice includes a hefty 5 grams of glutamine in it. Two birds, one stone. Alternatively, you can learn all about Glutamine Supplements here. We hoped this answered your question on the matter of BCAAs vs Glutamine. Now, you know the facts. Got more questions? Search the entire site above in the search box or ask below.